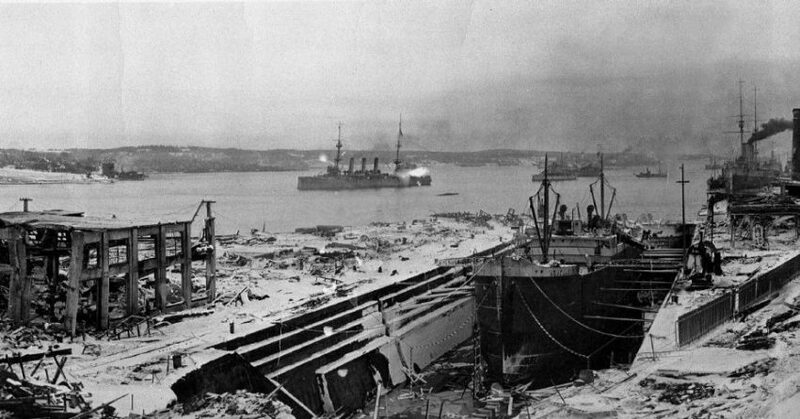 101 years ago today, at exactly 9:04:35 , two ships collided in The Narrows of Halifax Harbour. It was the largest man made explosion prior to the nuclear bomb. The blast was felt as far away as Cape Breton Island, Prince Edward Island and Boston. Here is a link to the website that was created last year to mark the 100th anniversary of this disaster, where nearly 2000 people died and more than 9000 were injured.